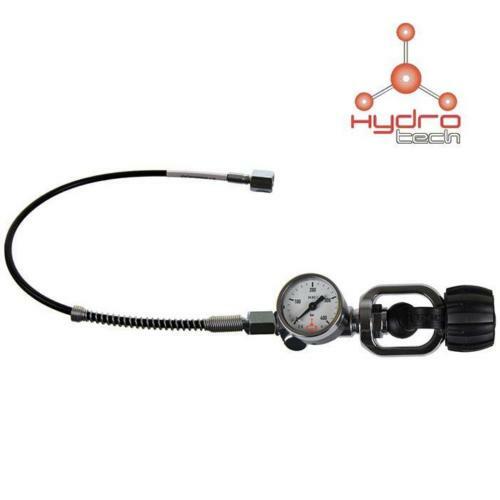 Hydrotech have re-styled and re-engineered the A-Clamp charging kit. Sleeker, lower profile and a whole lot better looking than its predecessor, this kit really is a step-up. Working at up-to 232 Bar, this charging kit will fit onto any A-Clamp style cylinder valve. Simply connect your guns' fill connector or quick-disconnect to the end of the hose and away you go!